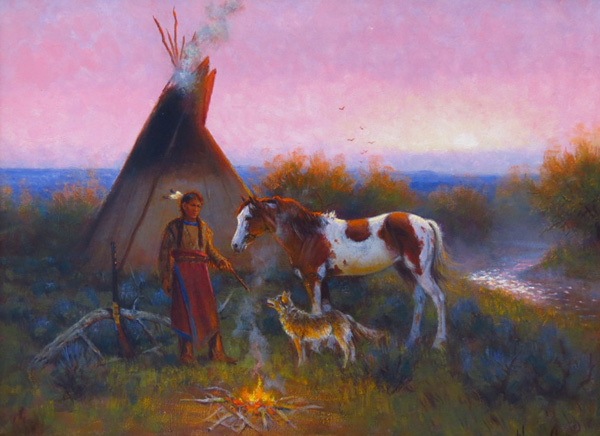 Wayne Cooper was born in 1942 near Depew, Oklahoma. 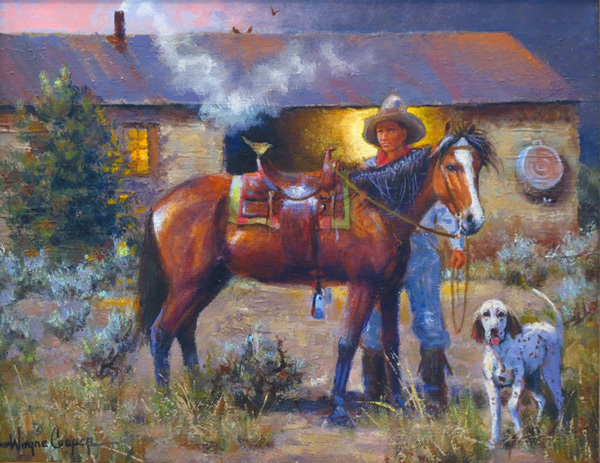 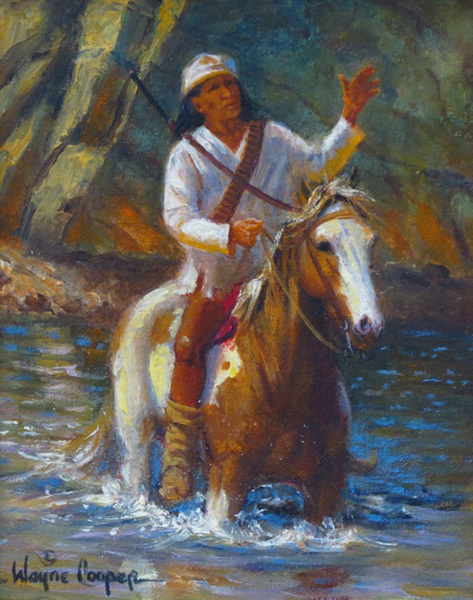 His talent was recognized at an early age, leading to intense training with Woody Crumbo, the Famous Artist School, Gary Artist League, Valparaiso University, the American Atelier in New York City and the Cowboy Artist of America Museum in Kerrville, Texas and with such well-known artists as Joe Beeler and Howard Terpning. 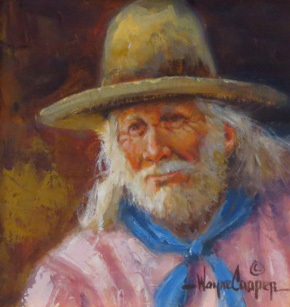 Cooper’s professional career started in 1964 in Chicago. 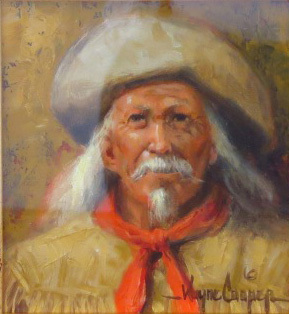 He lived, painted and sculpted in New York City from 1974 to 1981. 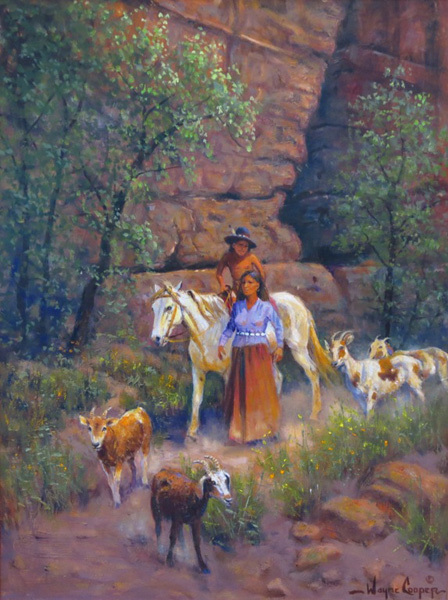 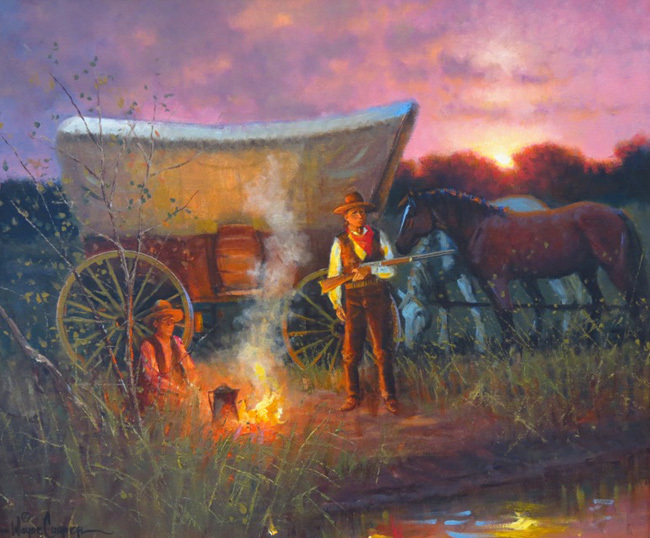 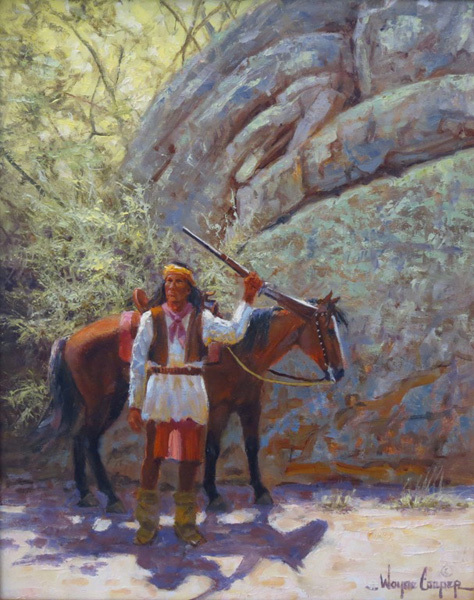 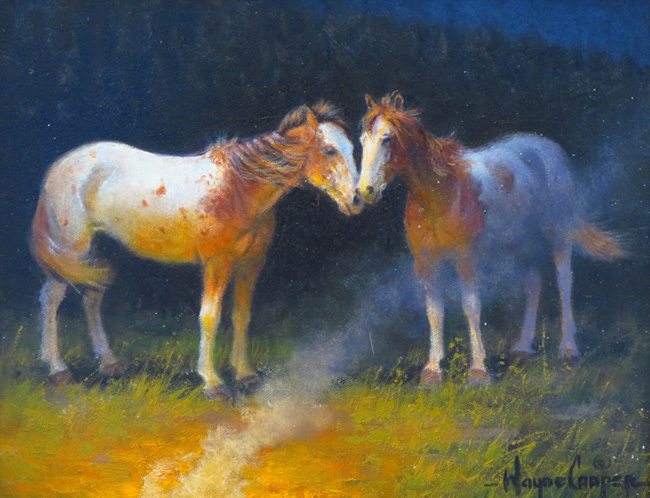 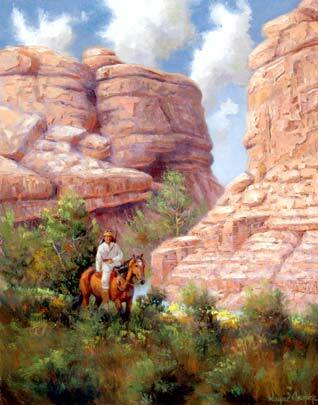 He returned to Oklahoma to paint and sculpt Western subjects. 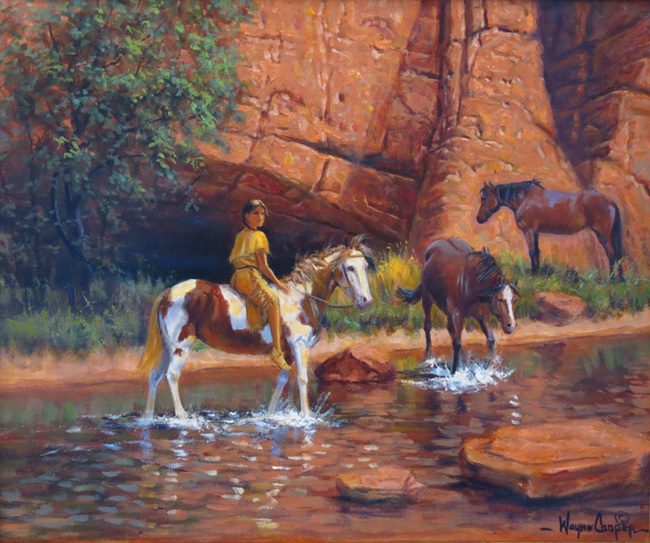 Wayne Cooper’s works are represented in collections throughout the world, both public and private. 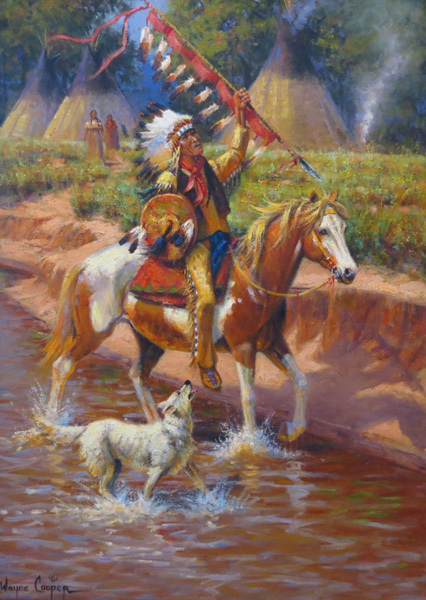 Many museums are proud to include his paintings and sculpture in their collections, including the Will Rogers Museum in Claremore, Oklahoma; the Oklahoma Heritage Museum; and the American Indian Museum in Catoosa, Oklahoma. 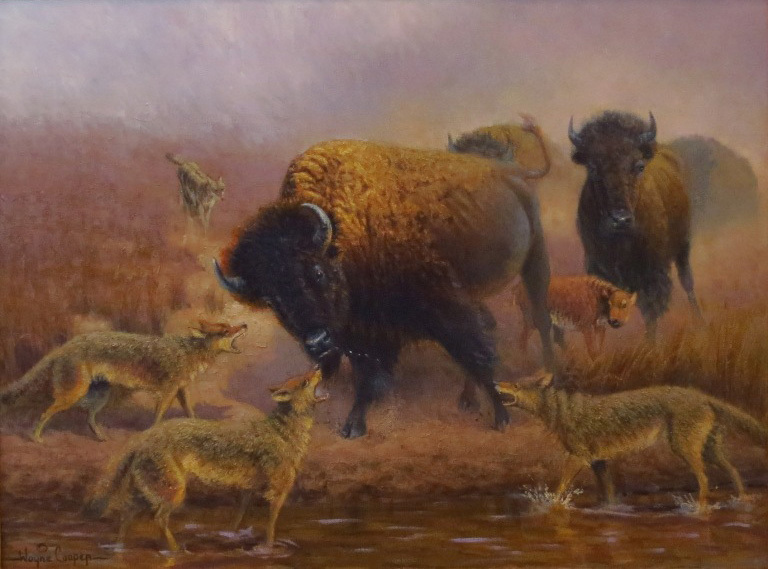 He has also been commissioned to do several large-scale oil paintings for the Senate in the Capitol Building in Oklahoma City.